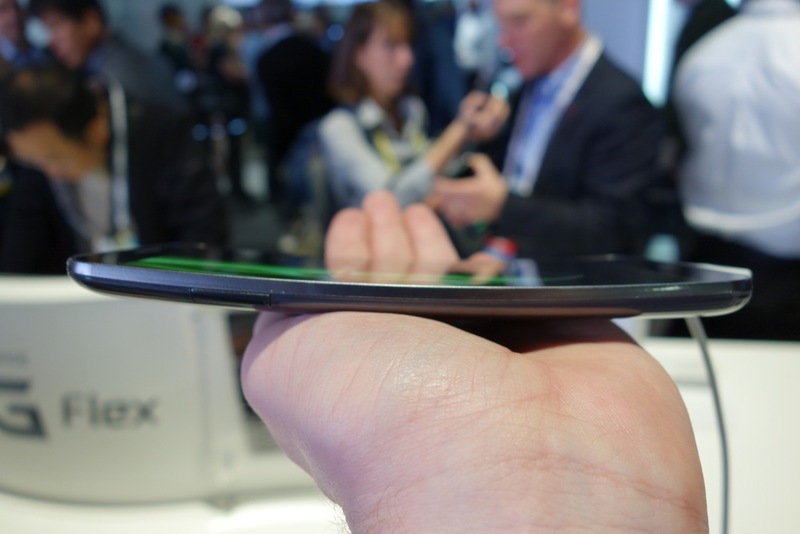 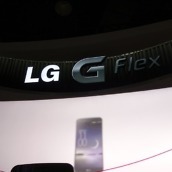 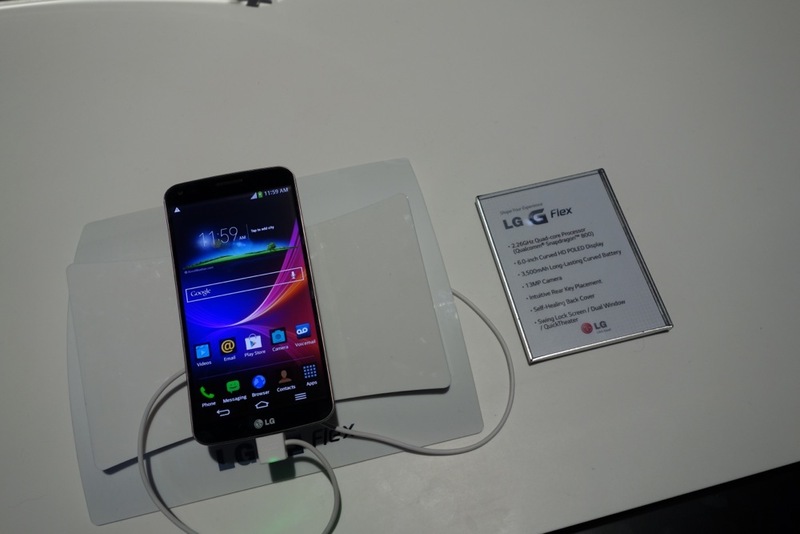 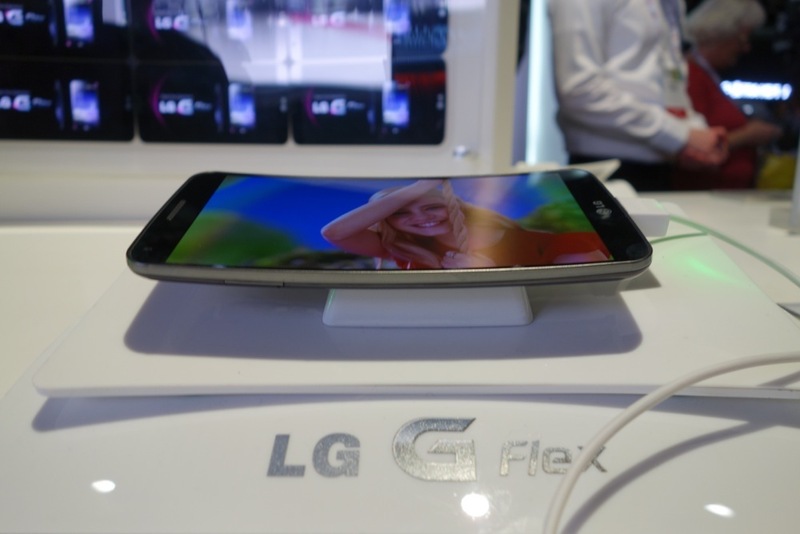 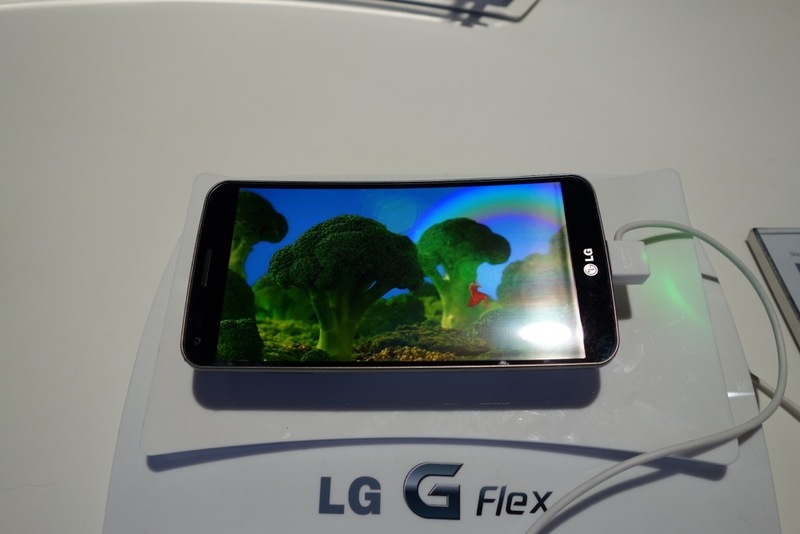 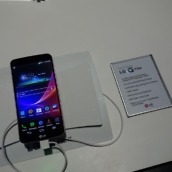 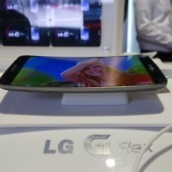 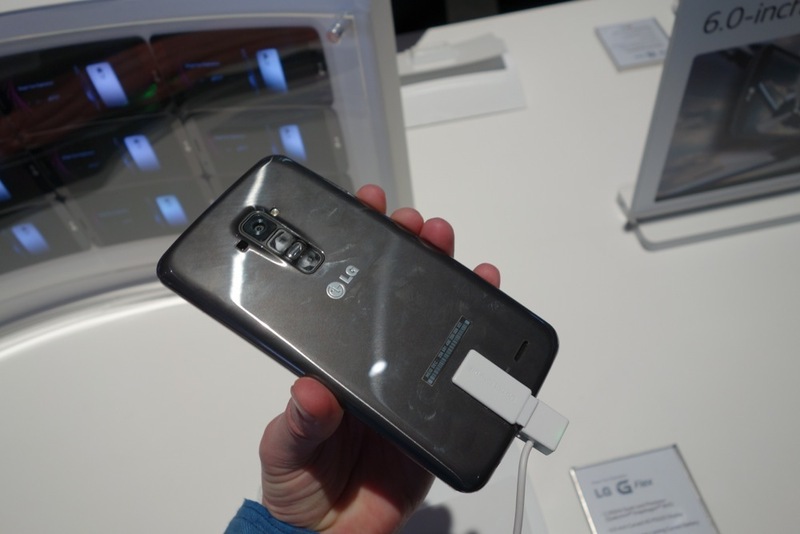 We finally had a chance to pick up an LG G Flex here at CES, and well, it’s kind of awesome to hold. 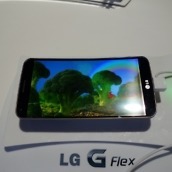 The curve to the 6-inch POLED display is noticeable, plus it makes the phone feel great in hand. 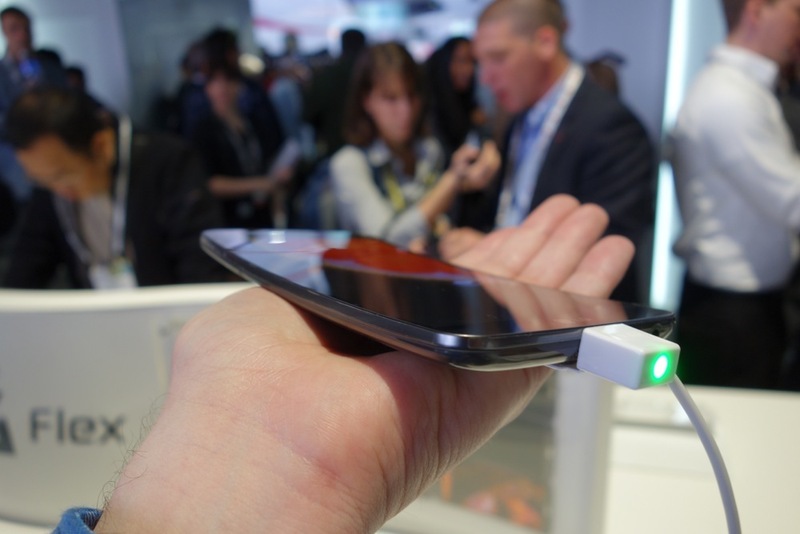 It is massive and un-manageable with one hand, but we also understand that part of the idea here is to highlight the technology. 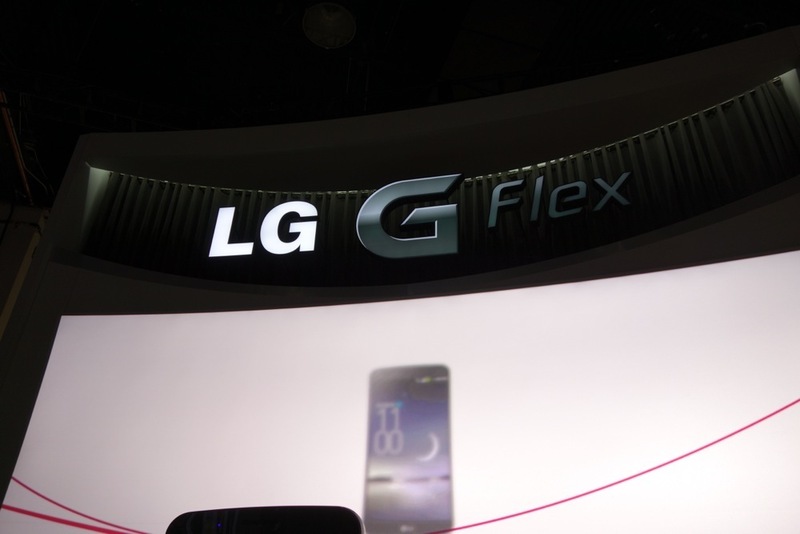 For those new to the G Flex, you are looking at one of the world’s first curved Plastic OLED displays, along with a Snapdragon 800 processor, curved 3,400mAh battery, 13MP rear camera, 2GB RAM, 32GB of storage, and Android 4.2.2 underneath LG’s custom skin. 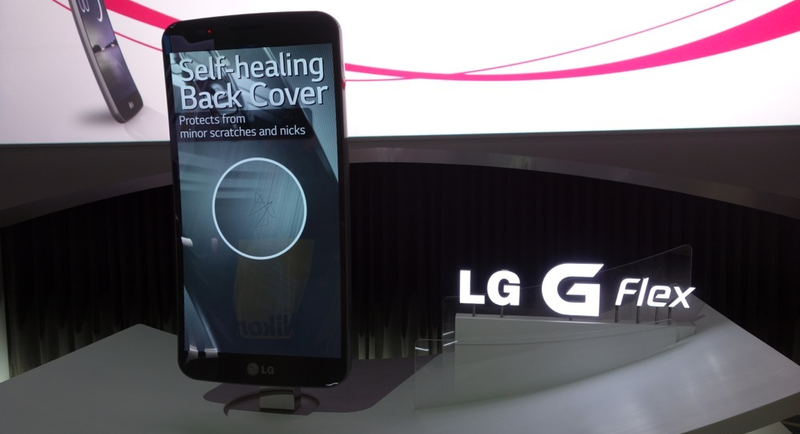 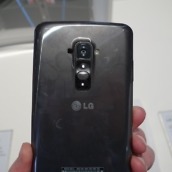 LG has also used a coating or material on the back of the device that is “self healing.” In other words, slight scuffs and minor scratches will actually disappear shortly after they are made. 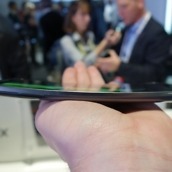 But again, the story here is the curve of the device. 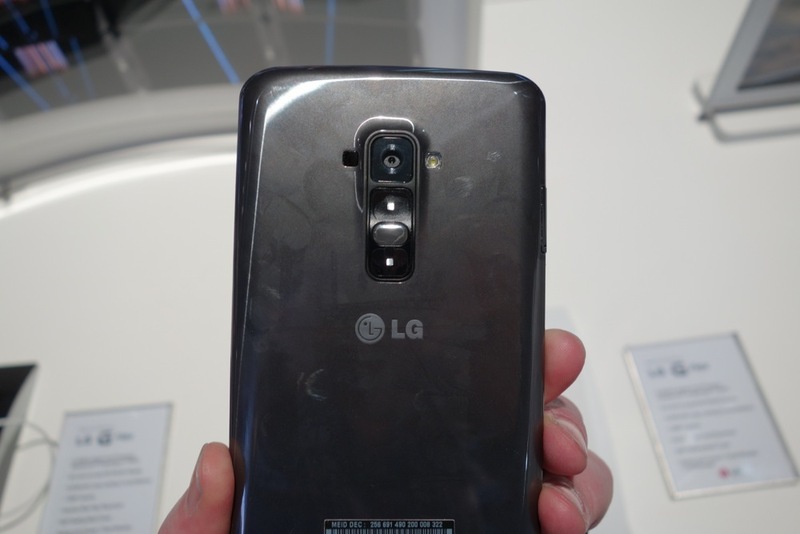 Tim asked what my initial thoughts were, and truthfully, if this phone had a 5-inch display instead of 6-inch, it might be in my pocket permanently. 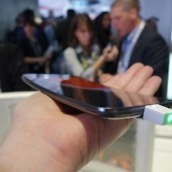 It’s just…cool. 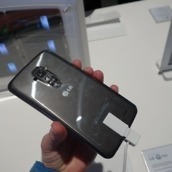 We’ll have more once the phone arrives on T-Mobile, but for now, enjoy the quick look.